New York City Events November 2011 include the New York City Marathon, Thanksgiving Day Parade and Veteran’s Day. Outdoor attire will likely include scarves, gloves and hats. The tree leaves might still be beautiful – or gone, depending on the climate. The theme of the month is “the Holidays are coming,” and toward the end of November, many of the department store windows will open their beautiful displays! 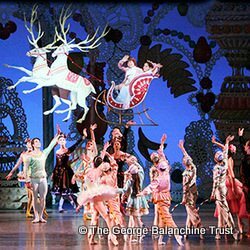 Current New York City Events November calendar. Please check sightseeing and holiday hours for Veteran’s Day (Friday, November 11, 2011) and Thanksgiving (Thursday, November 24, 2011). Read the full Insider Guide to Thanksgiving in New York City, the Thanksgiving Day Parade and Thanksgiving Dinner in New York City. 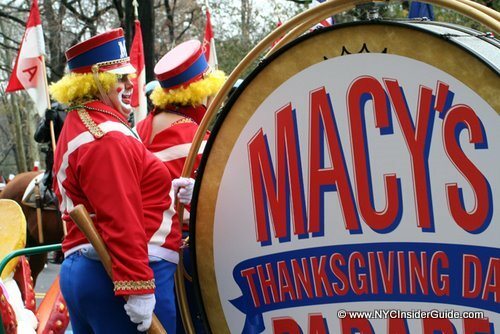 Choose from four different New York City Thanksgiving Vacation Packages, customized just for you! The best part is NYC Experts do ALL the planning for you and and you’ll have all your tickets and itineraries in hand before you visit! Note: Please read the NBA Lockout Season Update before ticket purchase! The 2011 Citi Pond at Bryant Park tree lighting features Grammy Award–winning singer-songwriter Sarah McLachlan. Joining McLachlan are performances from hit Broadways Musicals, breathtaking routines from Olympic Skaters, awe-inspiring synchronized skating routines and more! The 50-foot tree has more than 3,000 ornaments and tens of thousands of lights. 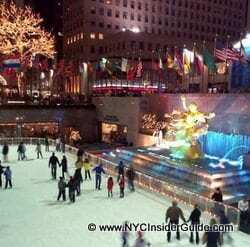 Don’t forget to browse through the amazing Bryant Park Holiday gift fair and take a spin on their FREE Ice Rink. 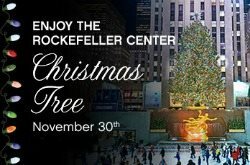 More Info: Bryant Park Christmas Tree Lighting Ceremony with Sarah McLachlan. 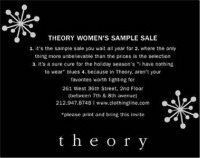 Scheduled November Sample sales include Theory, Furla and James Perse. Other November 2010 NYC Sample Sales that may be held again include: Christian Louboutin, Manolo Blahnik, Valentino, La Perla, Hugo Boss, Rebecca Minkoff, Giorgio Armani, Nanette Lepore, Catherine Malandrino and Joseph Abboud Menswear. Stay up to date with this year’s sales at NYC Designer Sample Sales. For eight years the New York Comedy Festival has brought together hundreds of the country’s best comedians for five days of stand-up. 2011 appearances include Norm MacDonald, Tracy Morgan, Wanda Sykes, Bill Maher, Russell Peters, Louis C.K. and many more. This is a dazzling and detailed replica of Manhattan, made entirely from natural plants, and 14 electric trains running in loops around the city. The exhibit is great both kids and adults, and makes an especially beautiful date night with cocktails on “Bar Car Nights” in Decmeber. Check out how huge the exhibit really is in person. Located in the Bronx, accessible by Subway and Metro North. Tickets: Adults $20, Seniors/Students $18, Children 2-12 $8. Winter’s Eve kicks off with a neighborhood tree lighting ceremony and features free entertainment, food tastings, in-store activities and shopping around and about this colorful and vibrant neighborhood. Stores, restaurants, cultural organizations and public spaces in the district will be buzzing with activities for both children and adults. 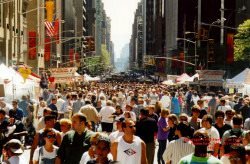 At the same time, sidewalks along Broadway from Time Warner Center at Columbus Circle to 68th Street will be alive with performers, street musicians, jugglers, stilt-walkers and more, making for a festive fun-filled stroll through the streets of this dynamic Upper West Side neighborhood. More on Annual Winter’s Eve at Lincoln Square. Syracuse, Virginia Tech, Oklahoma State and Stanford will headline the 2011 NIT Season Tip-Off, which begins November 14th, and the winners advance to Madison Square Garden during Thanksgiving Weekend. Held every November, the Preseason NIT Tip-Off Finals are a great way to kick off the beginning of the college basketball season. 2K Sports Classic (formerly Coaches v. Cancer Classic), November 17-18, 2011. St. John’s, Arizona, Texas A&M, and Mississippi State will serve as the four Regional Round hosts of the 17th annual 2K Sports Classic with the event opening the college basketball season on Nov. 7. Each will play on campus before advancing to the Championship Rounds, Nov. 17-18, at New York’s Madison Square Garden.